Let me start off by saying this Panama City photographer is not a runner. I have tried. I have bought running shoes, but I just can’t get into it. That being said, my mind may have been changed…..by zombies. Typically zombies go for the brains and not the mind, but after photographing the Running Scared Zombie 5K Run recently I may have to step up my running from zero times a year to one time a year. Being a photographer in Panama City for the past 10 years I have photographed just about everything, but this was my first time photographing a zombie run. Even though runners like to run first super early in the morning, I will sacrifice sleep to photograph this event again. 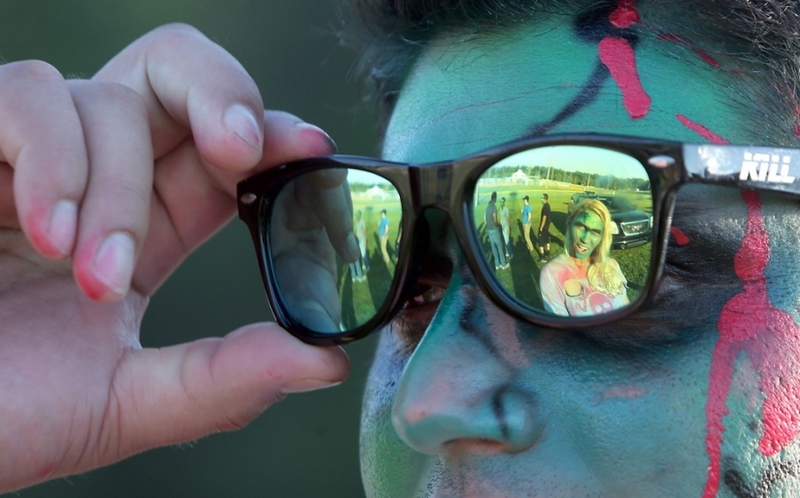 From the professional face-painting, to the zombie sounds, to the look of terror on runners of all ages, the Zombie Run was a truly fun event to photograph. 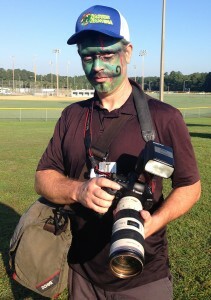 I started out by photographing volunteer zombies getting zombie-fied by the crew of Big Airbrush. I was amazed at how quickly these professional airbrush artists can turn someone from a normal-looking human into a flesh-eating undead runner-scarer. After getting my own face painted, I moved on to the start of the 5K and teamed up with a wonderful group of zombies who took their job seriously. These guys and gals had me laughing the entire time and the creativity this crew put into scaring runners is unparalleled. They truly put thought into how they could best terrify all the people crazy enough to want to run at 8:00 a.m. 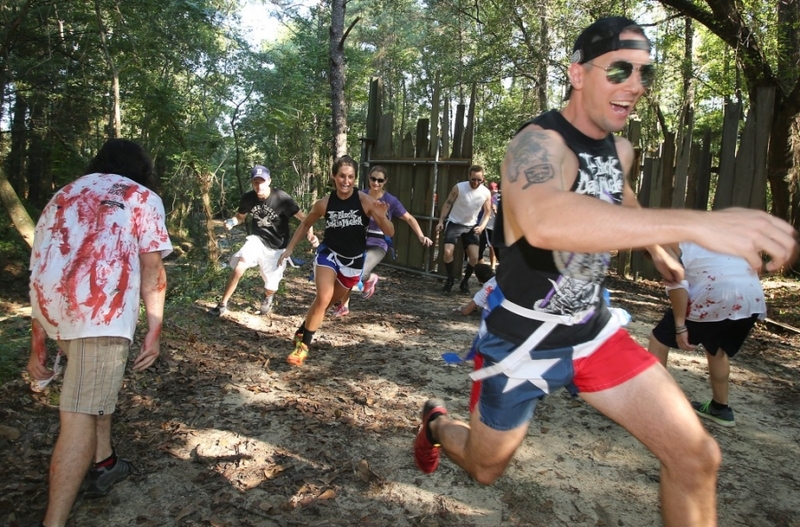 The Zombie 5K Run is hosted by the Gulf Coast Children’s Advocacy Center and is a fundraiser for the organization, which assists victims of sexual violence and child abuse. It is a fun time for a good cause and I recommend everyone come out and participate next year. Even if you are not a runner, it is a blast getting zombied-up and striking fear and joy into those who are.